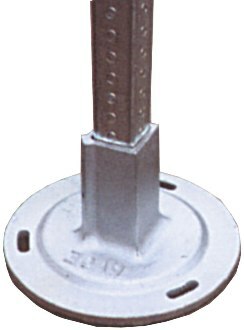 If you want your facility to look its best, our cast iron pedestal post base will dress up your sidewalks. A great solution to surface mount our Dogipot® pet waste stations or Dogipot® 10-gallon waste receptacles on concrete. Go to top of this Dogipot Cast Iron Pedestal Post Base for Pet Waste Stations 1305 page.